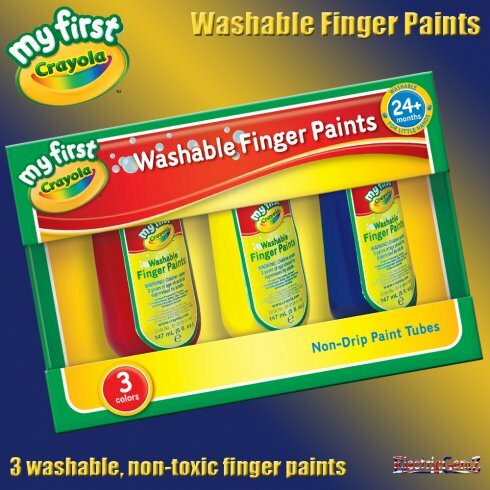 My First Crayola Washable Finger Paints 3-pack - Now even your youngest child can enjoy the fun of painting without Mum being stressed - Crayola Finger Paint washes off skin and clothing! 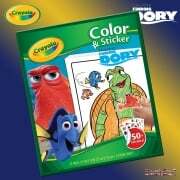 Suitable for ages 2+, the three big and bright colours are red, yellow and blue. 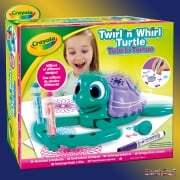 Now even your youngest child can enjoy the fun of painting without Mum being stressed - Crayola Finger Paint washes off skin and clothing! Suitable for ages 2+, the three big and bright red, yellow and blue 147ml (5fl oz) squeezy bottles are fitted with an air tight flip-top cap for non-spill and easy dispensing. These paints are non-toxic and contain an embittering agent to ensure that your children don't want to try to eat them. 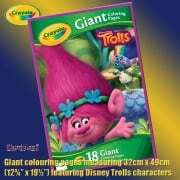 All children, however, when using this type of product should be supervised at all times. We have the full range at ElectricGemZ. 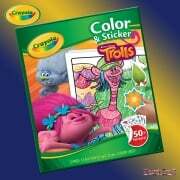 Search in the box above for Crayola or Crayons.